From the PwC website: "At PwC, we’re always seeking unique ways to improve the financial wellness of our people. We want to make sure you get your career off to a financially healthy start. To do so, PwC is offering a new employee benefit to help reduce your student loan debt. 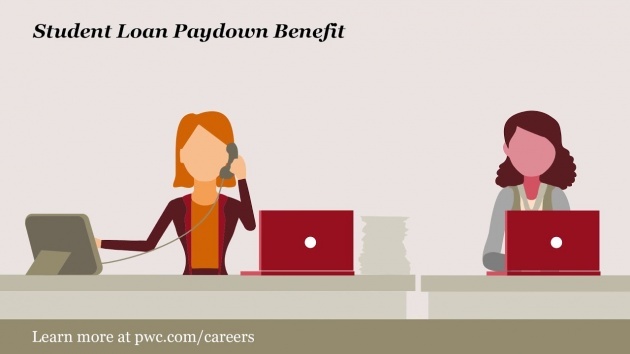 PwC is the first in the industry to offer this type of benefit. As a participating associate or senior associate, the benefit will pay $1,200 a year towards your loan. Over time, this may help reduce your student loan principal and interest obligation by as much as $10,000, and shorten your loan payoff period by up to three years.